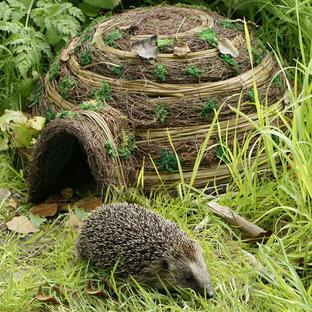 This house provides a stylish habitat for hedgehogs. 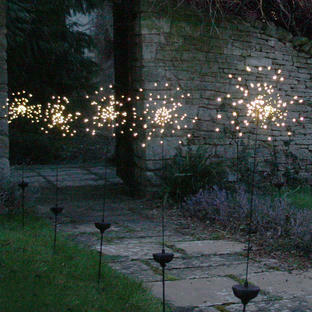 The house provides shelter and sanctuary from dangers in the garden. 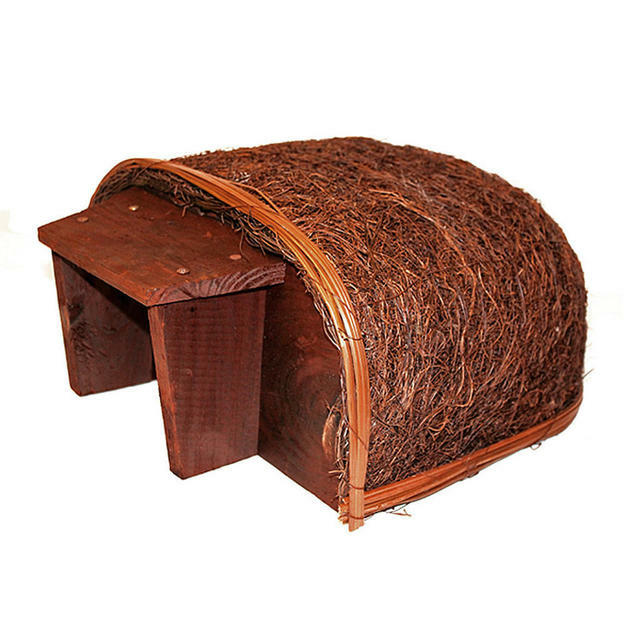 Underneath the textured brushwood finish there is a sturdy steel frame, covered with a waterproof felt lining. 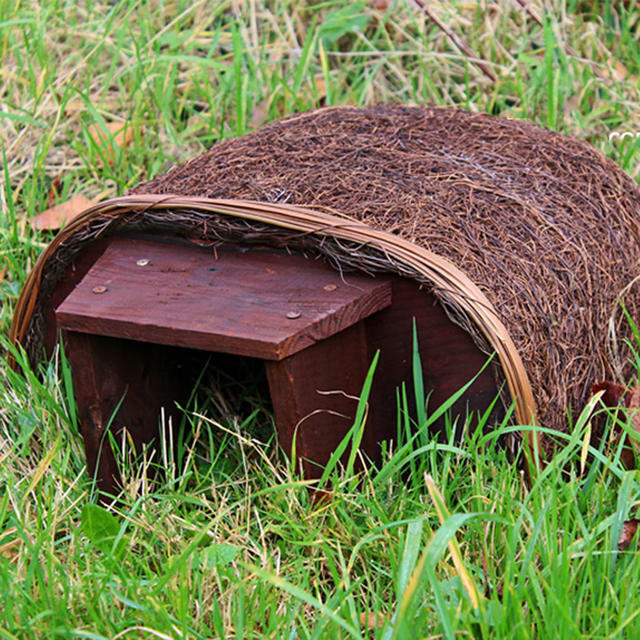 The wooden entrance door forms a short predator defence tunnel, small enough to deter access by dogs or badgers. For extra security the Haus can be pegged down using tent pegs or similar. 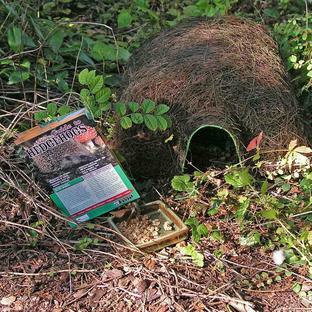 Ideally site your Hedgehog Haus in a quiet part of your garden and cover with leaves to make your hedgehog feel extra snug. The wooden door is made from FSC timber and painted brown with decorative rattan work around the edges of the Hedgehog Haus.